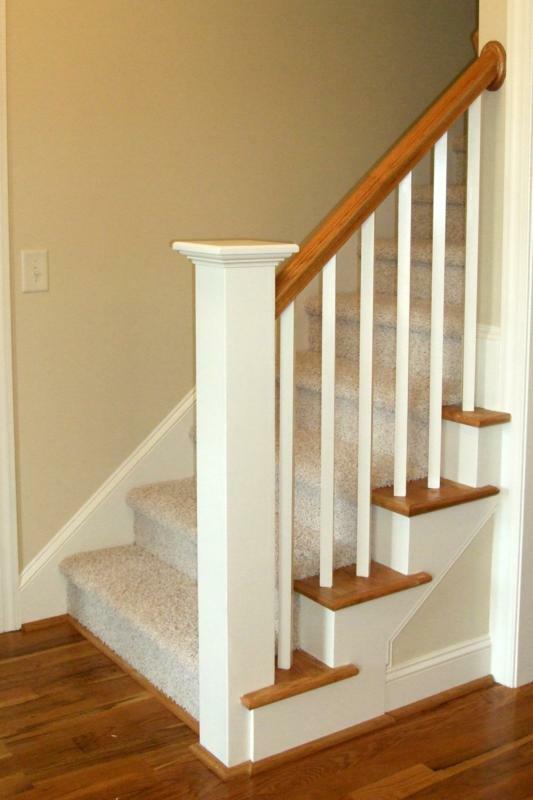 We've been working around metro Atlanta for over sixteen years now and have seen our share of "Golden Oak" and white stairs and railings. Are you familiar with this? Well, when we saw what Peace Painting did for an Alpharetta home, we wanted to share it! For relatively little time and money they dramatically changed the look of this home's small stairway. With this black staircase, it will totally dominate your room in a pleasing way.I'm so into accenting with black right now, because they don't get all grungy like white ones do. Color black stairway is the best because it will work with any kind of wall paint. Thanks for the comment! We couldn't agree more on the clean-looking benefits of the black! @wall graphic - I agree. What color of your wall doesnt matter, black staircase always match for all colors of walls. I personally recommend black color staincase. Having black staircases are great when you have kids. It makes the staircase more visible and its low maintenance because It doesn't get dirty and children can't write on them.